The team was called out for a reported cardiac arrest in Holmrook. As the team was travelling to the scene, the address was confirmed as Eskdale. The air ambulance, land ambulance and first responders were already on scene when the team arrived but there was nothing that could be done. Unfortunately the casualty, who was a rescue team member, did not survive. The team did a magnificent job of carrying him down in difficult circumstances. 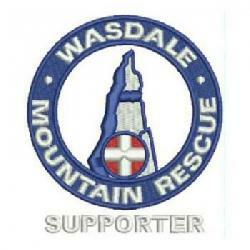 He was a member of the original Wyndham Search Team and a founder member of Wasdale Mountain Rescue Team. He was one of life’s great characters and we will thoroughly miss him. Our thoughts are with his partner and his family. There were 11 Wasdale team members involved.